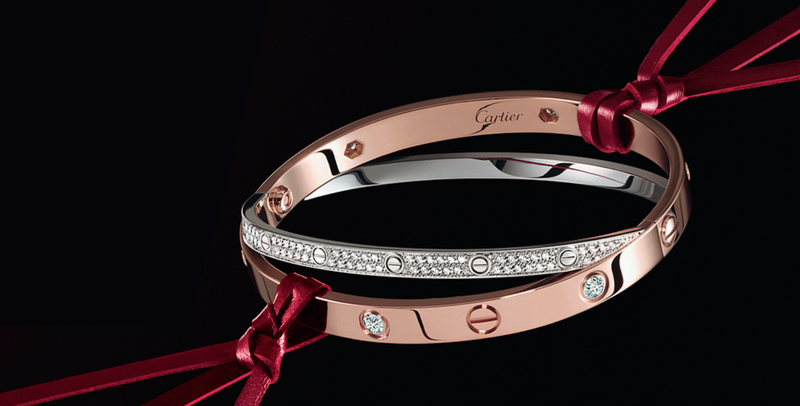 Despite its Efforts, Cartier Cannot Monopolize the Word "Love"
One of the most sought-after bracelets on the market is held together by two screws that, when tightened, lock onto the wearer's wrist, only to be removed by a mini screwdriver. Cartier’s famed Love bracelet – which ranges in price from $4,500 to $56,500 – has enjoyed a mainstream resurgence of sorts in recent years, nearly 50 years after its introduction, in particular thanks to a number of high profile and highly influential wearers. That status, however, has not helped the French jewelry company to land a win in a trademark squabble in Singapore. 172-year old Cartier has been locked in a battle to prevent MoneyMax, a Singapore and Malaysia-based pawnshop that specializes in jewelry, from registering “Love Gold” as a trademark with the Intellectual Property Office of Singapore (“IPOS”) for use on jewelry and retail services in connection with the sale of jewelry, only to be handed a loss late last year, as first reported by Straits Times. In response to Cartier’s July 2017 opposition, in which it argued that MoneyMax’s “Love Gold” mark is too similar to its own “Love” mark, IPOS hearing officer Lim Fung Chian Mark asked, “Can anyone have a monopoly over love? More precisely, can a trader prevent other traders from registering a trade mark which includes the word ‘LOVE’ for use on jewelry?” In his December 2017 decision, Lim ultimately held that the answer is no. While Cartier’s counsel argued that MoneyMax’s use of the words “Love” and “Gold” lacks the necessary distinctiveness required for a trademark to enjoy registration, Lim held that the pawnshop owner’s mark as a whole, including the inclusion of the two virtually meaningless Chinese characters alongside the words “Love” and “Gold,” as well as the arrangement, make the mark distinctive, and thus, protectable. Still yet, Lim held that since MoneyMax’s mark did not make use of the most distinctive elements of Cartier’s “Love” mark, i.e., the screw-fashion “O” and lowercase “e”, that the two companies trademarks are not confusingly similar. *MoneyMax’s trademark No. is 40201701277U.